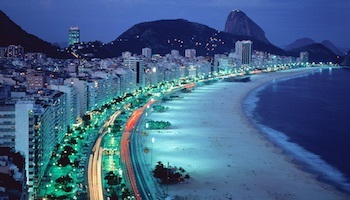 For travelers looking to experience an exotic beach location, Brazil is a great destination. 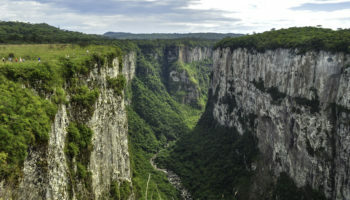 The largest country in South America is known for great soccer players, tropical rainforests, beautiful women, and beautiful beaches. 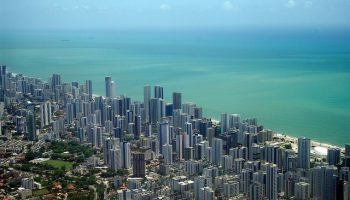 Those who travel to the beaches in Brazil will also find charm in the vibrant music and dance culture, the excellent cuisine, and large festivals like Carnival. Here is a look at some lovely beaches and beach towns to discover in this tropical paradise. The town of Santos has been the largest seaport in the Sao Paulo region for many centuries. Long known for the export of coffee, this area has gone from consisting of large export businesses like the famed coffee stock exchange to a bustling city of almost half a million. The remnants of the coffee empire can still be visited by tourists, along with many other sites. The city boasts the longest beach garden in the world. Although great for morning walks, at peak times these beaches can get very crowded. The island of Tinhare is another location that has no vehicles. The island town of Morro de Sao Paolo only received electricity in the eighties. 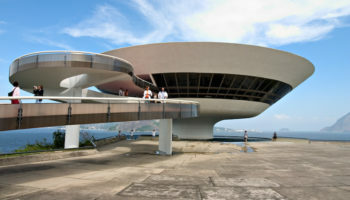 Despite the remoteness of the island, it is a favorite vacation location for Brazilians and foreigners alike. The town is small but comfortable for tourism, and it is easy to find a small and remote beach villa for rent on the outskirts. The island has many easy walking paths, and visitors will find that white sand beaches and beautiful wild areas are abundant. 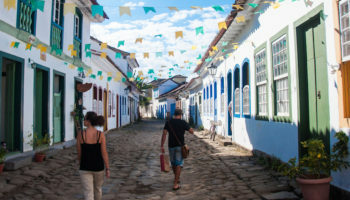 While the residents of Morro de Sao Paolo still keep their sleepy way of life, they have made room for the many people who want to experience this paradise for themselves as well. The coastal village of Buzios was once home to pirates and slave traders. Once these industries died off, the area became a fishing village. It gained tourism fame as the twenty-odd beaches surrounding the area have helped to rank it as one of the most beautiful regions of the world. Forno beach has been isolated from the town of Buzios by an unmarked trail, and nestled on one side by a large cliff and against a number of submerged rocks that provide ample sea life for snorkelers to enjoy. If this feels too remote, Buzios visitors can enjoy a few dozen other beautiful beaches that are closer. Surfers discovered the sleepy fishing town of Pipa in the 1970’s, and its clean clear waters, dolphins, turtles, and sea life helped to change it into the vibrant tourist town it has become. Today, it is considered one of the top beach towns in the Northeast, and is a definite favorite for the independent traveler who likes cultural gems off the beaten path. 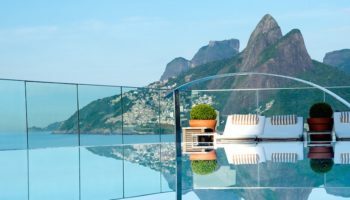 Tourism-favorite attractions like hotels, pousadas and night life are easy to find, though city-lovers will likely find the vibe here to be a little colloquial. The city of Florianopolis is an incredibly popular destination for beach lovers with 42 distinct beaches to choose from. Half of the city is on the mainland of Brazil while the other half is on the Island of Santa Catarina. Campeche, on the southeast side of Santa Catarina Island, is one of the best beaches in Florianópolis. The beach is a favorite among surfers, kitesurfers and other active beachgoers. In front of the beach is Ilha do Campeche, an island rich in native rainforest and archaeological sites. Ilha Grande is and island off the coast of the state of Rio de Janeiro that was used long ago as a leper colony, and remained uninhabited for many decades afterward. As a result, this area was able to avoid much of the environmental pressures that come with development. Today, it is one of the most pristine and intact rainforest remnants in the region, and home to many endangered species, like the red-ruffed fruitcrow and the brown howler monkey. The island remains today without vehicles or even roads. Lopes Mendes is a long beach that is a short rainforest trek from the drop-off point of many boats. The surf is good, and it has safe swimming as well. 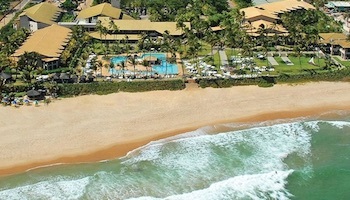 This region, known familiarly as “Jeri” sits secluded at the north end of Brazil, hidden behind a sea of dunes. For those who find that the most rewarding locations require a journey, this is a great choice. A trip across unpaved sand tracks through the dunes is the only way to get here. 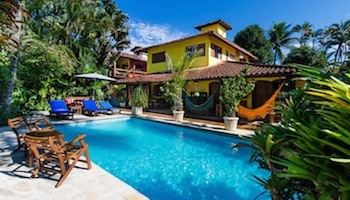 Arrival to the small town of Jericoacoara greets visitors with small but ample lodging, restaurants and nightlife. Along with spectacular coastal views there are several coastal activities found at Jeri Beach. One must-see trip should be to Sunset Dune and some of the most spectacular sunset vistas to be seen, as well as a chance to see the elusive “green flash” just as the sun sinks below the horizon. The beach made famous in the bossa nova song “The Girl from Ipanema” in the 1960s is one of Rio de Janiero’s most popular tourist spots today. A long, arcing expanse of soft white sand and rolling waves, Ipanema routinely reaches the top of the “Best Beaches in Brazil” lists year after year. A well-organized grid of shops, cafés and restaurants as well as an array of art galleries, theaters and clubs, border the beach. 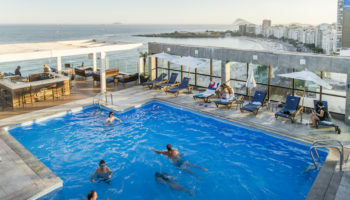 Located in the upscale South Zone, or “Zona Sul”, Ipanema lies between the beaches of Copacabana and Leblon. The clear blue waters of this beach keep it consistently on the top ten lists of world beaches. Trip Advisor, the Weather Channel and many others tout this beach, located along the remote Fernando de Noronha archipelago, to be unmatched in pristine beauty. Another beach on the archipelago, Praia do Leão is often ranked highly as well. Both beaches offer crystal clear blue water with areas for swimming and snorkeling. This island chain is sparsely inhabited even during high season, so the island chain is a great place to seek romantic beach seclusion as well. 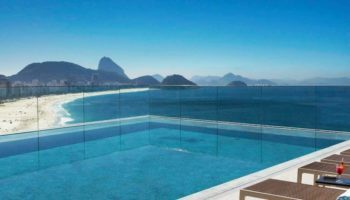 Though many of Brazil’s famed beaches are wild and secluded, this one is right in the heart of Rio de Janeiro. Subsequently, it offers a wide variety of amenities that make it easy to visit without much planning. A beautiful boardwalk with a black-and-white checked pattern of Portuguese stone flanks the sand, with a large number of hotels and restaurants behind. 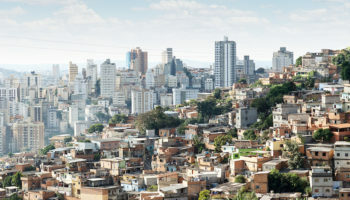 This is a notorious party and festival area, and it is filled with guests during many of Rio’s festivals, and events like the hosting of the World Cup.